The Levittown Historical Society Museum is located at 150 Abbey Lane. Levittown, NY - February 7, 2019 - During World War II, Abraham Levitt transformed Levittown – formerly a nondescript Long Island region consisting of mostly undeveloped flatlands – into a pioneering community in the field of lightning-fast urban development, and all in the name of serving battle-weary veterans returning from overseas in the 1940’s. 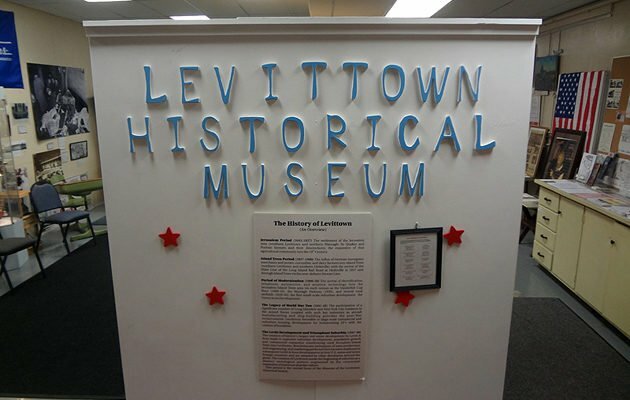 Today, Levitt’s amazing achievements are chronicled in the Levittown Historical Society Museum, located at 150 Abbey Lane in the Levittown Memorial Education Center. But despite the deep and rich history of the town, Historical Society President Paul Manton said that he still runs into residents that have stumbled upon the institution for the very first time; however, also surprising to him are the equal number of informed visitors, some of whom literally traveled across the world to see the town that Abraham Levitt built. Previously consisting mainly of farmland, Abraham Levitt spearheaded an unprecedented degree of low-cost housing development in 1947, with the aim to provide returning WW2 vets with affordable housing options; available were Cape Cod and Ranch-style dwellings, ranging in price from $6,990 to $9,990. 17,447 units were erected by the end of 1951, all utilizing a groundbreaking 26-step reverse assembly line technique that soon set the standard for construction worldwide, according to Manton. Multiple exhibits display painstakingly re-created facets of 1950’s American life. Photo Credit: Chris Boyle. The museum, originally created in 1997, was only to be a temporary exhibit, but Manton noted that it became so popular that it eventually became permanent and, soon, expanded upon. The museum itself seems to magically encapsulate a bygone era of Levittown, a time when life was far less complicated than it is today. 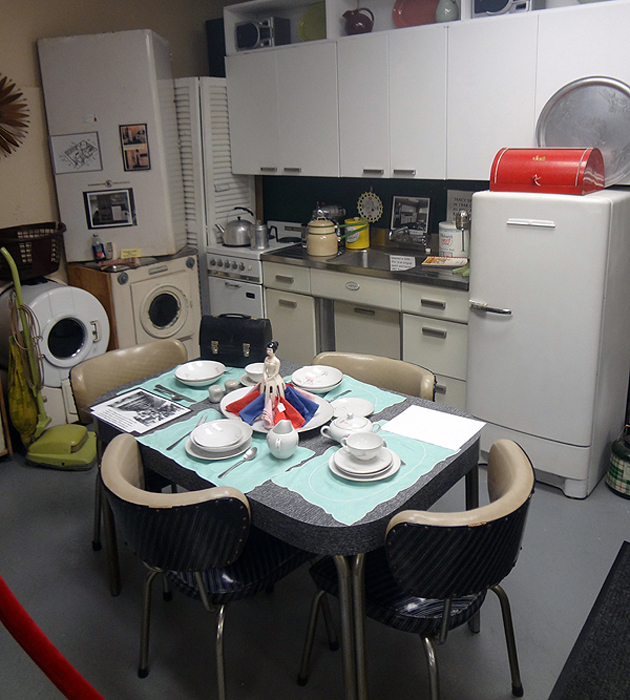 Multiple exhibits display painstakingly re-created facets of 1950’s American life, including a bedroom, kitchen, and living room, all adorned with period-specific items and relics. 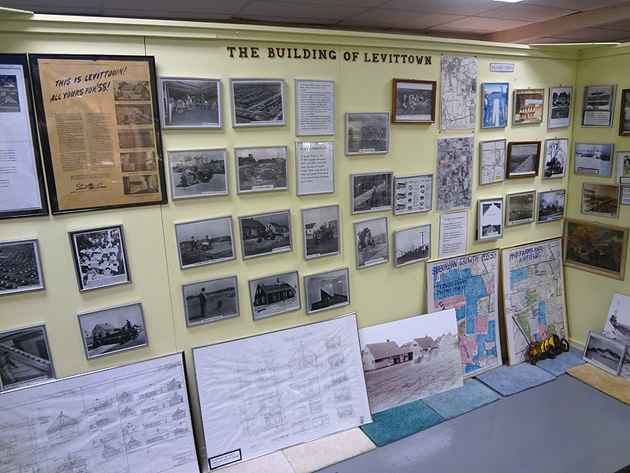 Detailed models and pictures abound, chronicling the evolution of Levittown’s construction, starting with its humble farming roots and finishing with the proud community that Abraham Levitt gave birth to. 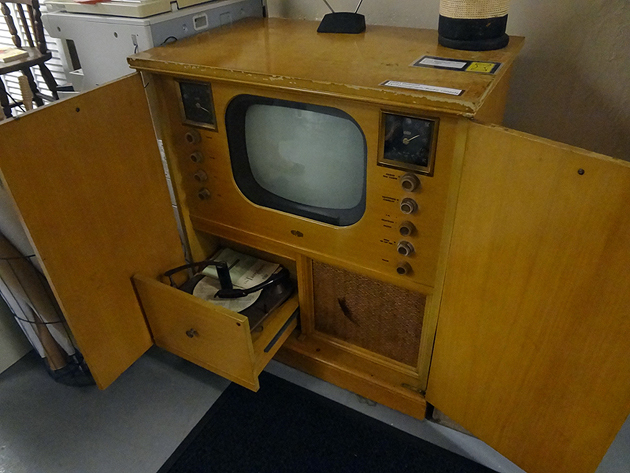 An 1950’s-era television/stereo combo unit. Photo Credit: Chris Boyle. Admission to the museum is completely free, and the museum itself is staffed entirely by passionate, knowledgeable volunteers who are able to give tours and answer questions, serving as conduits to the past that any history buff should take advantage of. Detailed models and pictures abound in the Levittown Historical Society Museum. Photo Credit: Chris Boyle. Subject: LongIsland.com - Your Name sent you Article details of "An Iconic American Town: Exploring the Deep History of Levittown, NY"